The patella (knee-cap) is located at the front of the knee joint, within the patellofemoral groove of the femur. Its superior aspect is attached to the quadriceps tendon, and inferior aspect to the patellar ligament. It is classified as a sesamoid type bone due to its position within the quadriceps tendon, and is the largest sesamoid bone in the body. In this article we will look at the anatomy of the patella – its surface features, functions and clinical relevance. The patella has a triangular shape, with anterior and posterior surfaces. The apex of the patella is situated inferiorly, and is connected to the tibial tuberosity by the patella ligament. 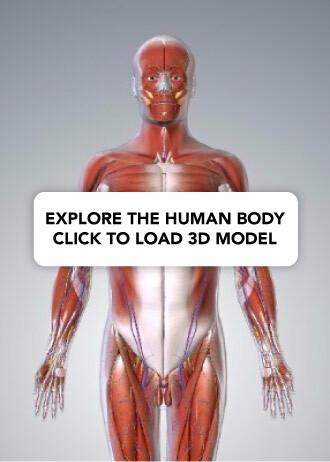 The base forms the superior aspect of the bone, and provides the attachment area for the quadriceps tendon. Medial facet – articulates with the medial condyle of the femur. Lateral facet – articulates with the lateral condyle of the femur. Fig 1.0 – Anterior and posterior surfaces of the patella. Leg extension – Enhances the leverage that the quadriceps tendon can exert on the femur, increasing the efficiency of the muscle. Protection – Protects the anterior aspect of the knee joint from physical trauma. In a patellar dislocation, the patella bone is displaced out of the patellofemoral groove. It accounts for around 3% of knee injuries. Most dislocations occur laterally, and are caused by high force impact on the patella or forceful sudden twisting of the knee. These mechanisms of injury make patellar dislocation more common in individuals participating in sports such as: football, rugby and ice hockey. Patellar fractures usually result from direct trauma to the bone, or sudden contraction of the quadriceps muscle. They are more common in males, and in the 20-50 age range. If the patella fractures into fragments, they will usually separate; the proximal fragment displaced superiorly by the quadriceps tendon and the distal fragment pulled inferiorly by the patellar ligament. 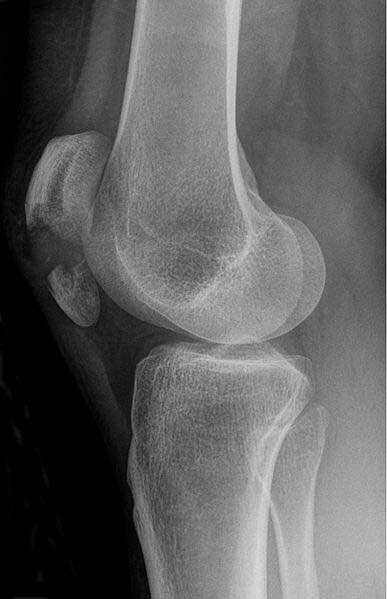 Fig 1.1 – Radiograph of patella fracture. Note the displacement of the proximal and distal fragments. Which of the following attaches to the base of the patella? Which structure attaches to the apex of the patella?